A charming boutique hotel, 5 star, in central Lisbon. A unique space of comfort and luxury in the heart of Lisbon. A breathtaking luxurious Hotel in a historical palace, refurbished in one of the most traditional neighbourhoods of Lisbon. The ideal starting point for exploring the historic heart of the Lisbon city. The Jerónimos 8 translates by itself all the sinenergy of the modern design with the surrounding historical context. Discover one of the most exclusive hotels in Lisbon. Your Hotel in the most modern area of Lisbon. The Oitavos is a family owned and managed grand hotel that represents the pinnacle of contemporary design and innovation. Lisbon is composed of nine designations of origin, grouped into three geographical sets due to its characteristics. 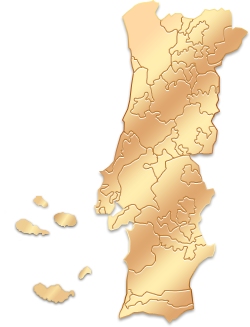 Bucelas, Carcavelos and Colares (south), Alenquer, Arruda, Lourinhã, Óbidos and Torres Vedras (center) and Encostas d'Aire (north). It were the Phoenicians, in its maritime travels that, reaching the distant lands of the British Isles, have promoted the beginning of the wine production in the mouth of the river Tejo, with vines brought from Syria, thus being responsible for promoting the vine in our country, where it found favourable and natural conditions for its development. The zone where the actual Estremadura is placed has been under the Muslim rule for four centuries, and viticulture was resumed only after the founding of the nation and the reconquest of lands to the Moors. This vocation was strongly encouraged with the knowledge disseminated by the religious orders, the Benedictines first, followed by the Clunicenses and finally the Cistercian Order, which, in Estremadura, had a prominent position in Alcobaça. The clearing of land allowed to create hunting grounds, with new areas for the vineyards, and for its cultivation techniques described by the "geopónicos", from Rome time, have been resumed. An era of stability and economic development emerged as a result of the exploration and commercialization of the products brought by sea and land, the wine being a leader in this field. This situation remained until the dynastic crisis caused by the death of King Fernando, aggravated by the situation lived throughout Europe, with hunger, epidemics and wars, with the consequent economic recession. In this context the wine sector sees a new setback, taking some time to recover, due to the importance that in the 14th and 15th centuries was given to the Discoveries and the recruitment of capable men for that task. The 19th century, though it had an era of overproduction of wine, was a period marked by a series of weighty facts for the culture of vines. The beginning was drastically marked by the French invasions that, in addition to lead to the abandonment of many lands, after the widespread acts of looting on the route followed by the invaders, still caused, particularly in Estremadura, south of Torres Vedras, the diversion of all rural workers to defend Lisbon (the famous Line of Torres). The attack, on the entire country, of phylloxera, an insect that attacked the roots of the European vines, caused the death of most the vineyards in Portugal. When the solution was found, rapidly the slopes of Estremadura where again filled with vines. Consolidated the recovery of the culture of the vine and resumed its expansion throughout Estremadura, several areas see their regional pasture type wines recognized. With the publication of the Decree of 1 October 1908, conditions were created to start the process of demarcation of the regions of Carcavelos, Colares and Bucelas. The same could have happened with Torres and Alcobaça, but reasons difficult to understand led to a wait of nearly 80 years. The change in the habits of rural way of living, the consumer habits and the wine policy itself, as consequence of the integration in the European Community, led to a rethinking of that structure. The selection of grape varieties, the enhancement of technology, the knowledge of new designations of origin, together with the effort of the vine producer and the information of the oenologist, were cornerstones to achieve the current situation, putting the Estremadura wines in a high deserved quality level. The main white grape varieties are: Arinto, Fernão Pires, Malvasia, Seara-Nova and Vital, and the reds are Alicante Bouschet, Aragonez, Castelão, Tinta Miúda, Touriga Franca, Touriga Nacional and Trincadeira, beyond the contribution of foreign varieties as Chardonnay, Cabernet Sauvignon and Syrah. Capital of Portugal, it is located on the north bank of the Tejo estuary, 10,5 miles far from the Atlantic. The city has 500 thousand inhabitants, but the "Big Lisbon”, which encompasses several suburb localities, has nearly 2 million inhabitants. Seen from a high point, the city of the seven hills looks like a labyrinth of winding streets and steep stairs, colored with red roofs and ochre façades, which come alive, animated by a constant play of lights and shadows. It’s most distinguished and brilliant inhabitant, Fernando Pessoa, would never have imagined himself "sleeping his life” elsewhere but in Lisbon. Lisbon invites you to walk across its streets, to discover it without rush, exploring its most secret corners. A visit to the Jerónimos Monastery, to the Tower of Belém, to the National Museum of Ancient Art, to Santa Justa Lift, to the Cathedral and to the Castle of São Jorge is recommended. 4 miles northeast, +351 21 8413500. More info. : www.ana.pt. From the airport to the town centre: The airport is not connected to the metropolitan network. It is convenient to get a taxi or a bus to arrive to the town centre. AeroBus 91 makes the connection to the town centre: Rossio, Comério Square and Cais do Sodré. Lines Blue, yellow, red and green, +351 213500115/6/7. More info. : www.metrolisboa.pt. Oriente Station, Entry of Parque das Nações / Santa Apolónia Station, near the town centre / Barreiro Station, south bank of Tejo / Cais do Sodré Station, connects to the lines of Estoril and Cascais / Rossio Station, connects the west coast and Sintra, +351 707 201 280. More info. : www.cp.pt. Sete Rios Station, Praça Marechal Humberto Delgado, Rua das Laranjeiras, +351 21 3581460. Alcobaça: From Porto, take the A1/Lisboa, take exit 16 to merge onto A25 to Aveiro, merge onto A8 / Aveiro / Lisboa, take exit 22 towards N8-5 / V. Frades and converge with IC1 to Alcobaça. From Lisbon, take the A8 towards Leiria / Loures, follow signs for Leiria / Caldas da Rainha and take exit 22 towards N8-5 / V. Frades to Alcobaça. Colares: From Porto, take the A1/Lisboa, take the exit towards A10 towards A9 / CREL, follow signs for A9 / CREL / A5 / A8 / IC19 / IC22 and turn to CREL / A9 take the exit towards South CREL converge with the A16 and take exit 8 towards Sintra Centro / Colares. From Lisbon take the A37 / IC19 to Sintra, take the exit towards A16 towards Sintra Centro / Mafra / Ericeira and then take exit 8 towards Sintra Centro / Colares. Terreiro do Paço, Alfândega Dock / Cais do Sodré, crossing to Cacilhas / Belém, crossing to Trafaria and Porto Brandão. More info. : +351210422400, www.transtejo.pt. Carris, Rua 1º de Maio, 101-103, +351 21 3613054, www.carris.pt. Lisboa Welcome Center, Praça do Comércio, +351 21 0312810.